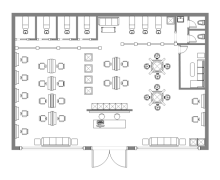 Looking for a floor plan software to create floor plans on Linux and arrange furniture better. Edraw is such a sweet Floor Plan Software for Linux, which works well on Linux OS X: Debian, Ubuntu, Fedora, CentOS, OpenSUSE, Mint, Knoppix, RedHat, Gentoo and More. 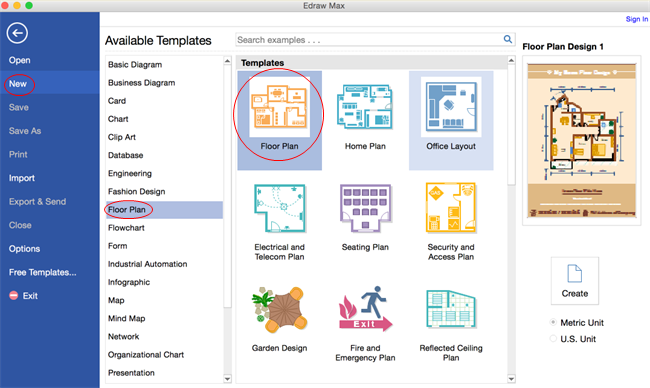 Edraw Max, as an easy-to-use Floor Plan Software, is compatible with Linux system for creating great-looking floor plans, floor office layout, home plan, seating plan, garden design, fire and emergency plan, HVAC, elevation diagram, etc on Linux. 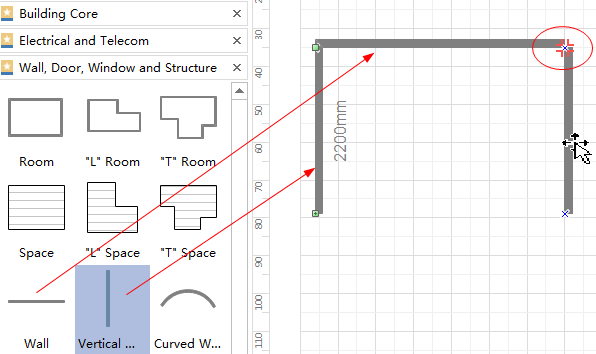 Lay out your rooms with drag-and-drop shapes from Libraries. Get started quickly by choosing from various floor plan templates and examples. A large collection of shapes including furniture, doors, windows, accessories and plants and so on for your choices. 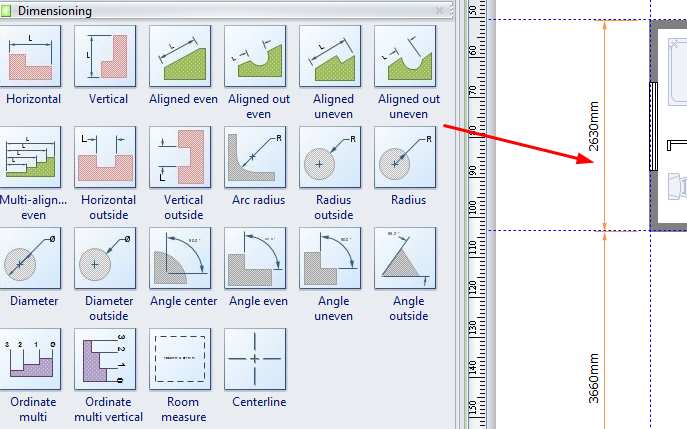 Accurately measure rooms for remodeling through dynamic scale that shows automatically. 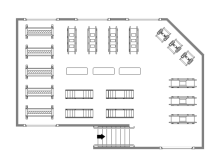 Instantly export your floor plan to graphics or MS documents. Upload your work to Team Cloud thus you can collaborate with your team members anytime and anywhere. 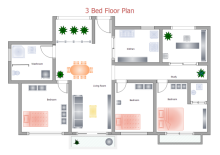 This floor plan software Linux covers more than 1000 vector floor plan symbols including dimensioning, appliances, plumbing, wardrobe, alarm and access control, wall, shell and structure, plants, bedroom, etc, you are able to edit, resize or rotate those shapes. From the Walls, Door. Windows and Structure stencil, drag one of the room shapes onto the drawing page. Resize the room shape by dragging the selection handle and the yellow control handles. 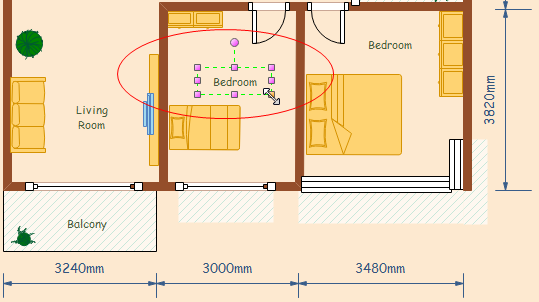 Dimensions could be displayed in the floor plan to show accurate measurement and scale. 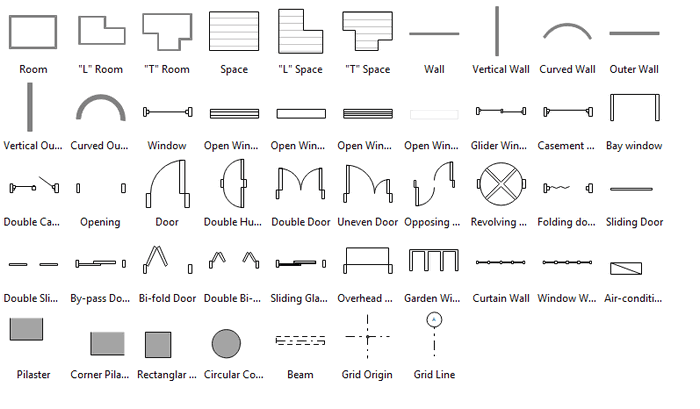 A variety of smart dimensioning symbols in dimensioning library enable users to draw interior dimension, exterior dimension, angular dimension, radius dimension and much more. Click Save on File tab to save as the default format .eddx. Or choose Save as on File tab to save as other formats, you can also hit Export & Send under File to export the floor plan as images, presentation slides and web documents and so on. 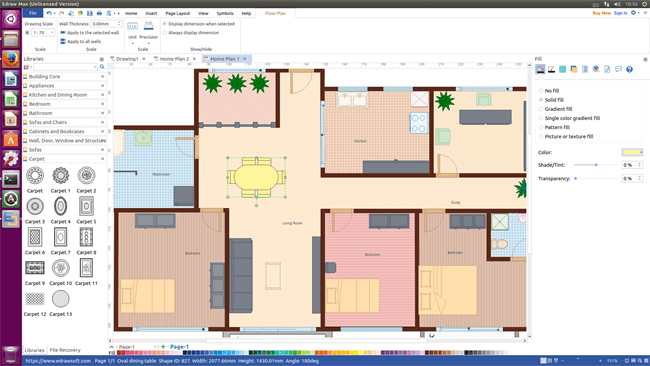 Following are some floor plan examples created by our floorplan software on Linux. Simply click to free download, edit and share these examples. They can inspire you and serve as templates when you want to create floor plans on your own.